The College of Arts and Sciences (CAS) offers a wide variety of undergraduate and graduate educational opportunities. 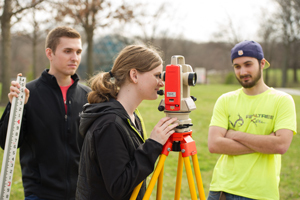 Studies in the natural sciences, humanities, arts, social sciences and communications represent the core of liberal arts education and all learning at SIUE. CAS touches the lives of every university student by helping them gain the knowledge and analytical skills applicable across all disciplines. CAS is committed to ensuring its graduates acquire the talents and understanding necessary to function as educated individuals and responsible citizens. SIUE’s School of Business and the accountancy program are accredited by the Association to Advance Collegiate Schools of Business International, representing the highest standard of achievement for business schools worldwide. 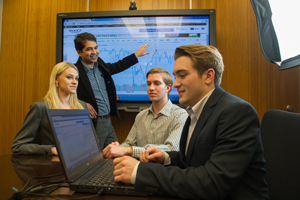 The Princeton Review consistently lists SIUE as a top business school. Undergraduate and graduate degrees are offered in business administration, accountancy, computer management and information systems, and business economics and finance. EAch year, students study abroad, attend professional networking events, participate in student organizations and secure internships in nearby St. Louis. More than 20,000 alumni have earned degrees from the SIUE School of Business. School of Dental Medicine students manage approximately 35,000 patient visits each year at the School’s patient clinics in Alton and East St. Louis. 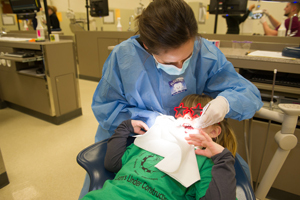 In addition, students offer oral health treatment, screenings and education to more than 10,000 people annually through a wide variety of off-campus community outreach events. These opportunities provide students the training they need to graduate and become highly skilled dentists. The School of Dental Medicine is a vital oral health care provider for residents of Southern and Central Illinois, and the St. Louis metropolitan region. The SIUE School of Education, Health and Human Behavior prepares students in a wide range of fields including public health, exercise science, nutrition, instructional technology, clinical psychology, speech-language pathology and audiology, administration, and teaching. Faculty members engage in leading-edge research, which enhances teaching and enriches the educational experience. Students gain hands-on experience at more than 350 school districts and community agencies in the region. The School supports the community through on-campus clinics, outreach to children and families, and a focused commitment to enhancing individual lives across the region. The SIUE School of Engineering offers one of the most comprehensive and affordable engineering programs in the St. Louis region with eight undergraduate degrees, six master’s degrees and four doctoral programs, all housed in a state-of-the-art facility. Students learn from expert faculty, perform cutting-edge research and participate in intercollegiate design competitions. Companies in the metropolitan St. Louis area provide students challenging internships and co-op opportunities that often turn into permanent employment. All undergraduate programs are accredited by their respective accreditation agencies. 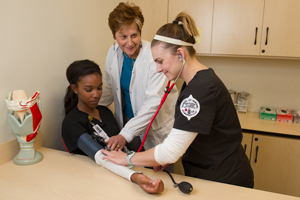 The SIUE School of Nursing is committed to creating excellence in nursing leadership through innovative teaching, evidence-based practice, quality research, patient advocacy and community service. Enrolling nearly 1,300 students in its baccalaureate, master’s and doctoral programs, the School develops leaders in pursuit of shaping the nursing profession and impacting the health care environment. Through expanded programs located on the SIU Carbondale campus, the SIUE School of Nursing is helping to solve the region’s shortage of baccalaureate-prepared nurses and enhance the quality of nursing practice within hospitals and medical centers. Today’s pharmacists improve patients’ lives through the medication and education they provide. Dedicated to developing a community of caring pharmacists, the SIUE School of Pharmacy curriculum is nationally recognized as a model that offers students a unique combination of classroom education, research, community service and patient care. The School’s areas of excellence include the Center for Drug Discover and Design; Alzheimer’s research, chronic pain research and practice; and diabetes research and practice. As the only downstate Illinois pharmacy doctorate program, and the only school in Illinois and Missouri offering a master’s of pharmaceutical sciences, the School is addressing the growing need for highly trained pharmacists in a rapidly growing field. By preparing the next generation of leaders in a knowledge-based economy, SIUE’s Graduate School fulfills the region’s demand for highly trained professionals. 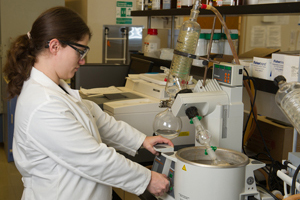 Graduate School offerings include arts and sciences, business, education, engineering, nursing, dental medicine, pharmacy and interdisciplinary opportunities. 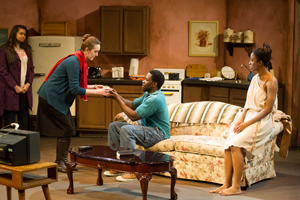 SIUE professors provide students with a rare integration of theoretical education and hands-on research experiences. Students can pursue their master’s or doctoral degree or work to obtain a graduate certificate. 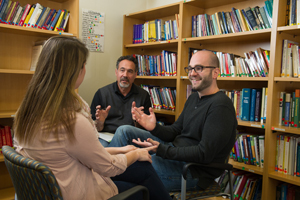 Graduate students benefit from a supportive learning and rich intellectual environment tailored to the needs of adult learners. 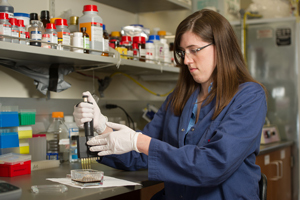 The Graduate School raises the visibility of research at SIUE, which ranks highest among its Illinois Board of Higher Education peers in total research and development expenditures according to the National Science Foundation. 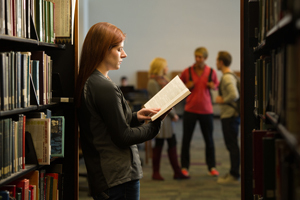 SIUE Library and Information Services (LIS) consistently strives for new and inventive ways to deliver information to students, faculty and the community. LIS is home to Lovejoy Library, the heart of the University. The library provides SIUE faculty and students the information required for their academic pursuits and scholarly activities. LIS faculty and staff nurture SIUE students’ scholarship with resources that support the collaboration and innovative thinking needed to succeed in the global marketplace.